Most recently he has published a memoir of his childhood and adolescence in Montreal’s Jewish district, A Stone in My Shoe: In Search of Neighborhood (Vehicule, 2013). 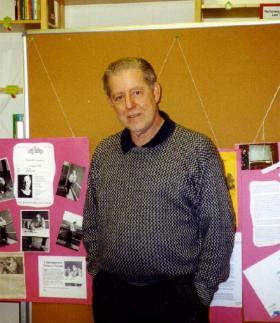 Ellenbogen’s work has been supported by the Whiting Foundation, the Montalvo Foundation, the Karolyi Foundation, the Virginia Center for the Creative Arts, the Canadian Department of External Affairs, Gesellschaft fur Kanada Studien, the Canada Council, United States Information Service, and Canadian International Cultural Relations. 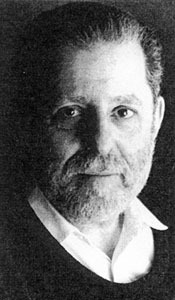 He has read his poems on both sides of the Atlantic, was featured in a 1990 documentary, “George Ellenbogen: Canadian Poet in America,” and in a graduate dissertation,“Postmodernism and the Travel Motif in the Poetry of Adrienne Rich and George Ellenbogen” (Brigitta Wallenberg, University of Salzburg). He is also one of several poets featured in Jean Tobin’s Creativity and the Poetic Mind (New York: Peter Lang Publishing, 2004). “Ellenbogen is an exceptionally interesting poet, capable of mingling perpectives, shifts between the comic and the melancholy, specific landscapes and invented skylines, calm ironies and, on occasion, a hazarding of that rarest of feats nowadays, a plain expression of feeling.” -Robert Taylor, Boston Globe. “George Ellenbogen…is a traveler among the poets. His verses emcompass entire continents – Africa, America, Europe…Ellenbogen’s landscapes are often landscapes of the imagination, fragments assembled into a composite picture. Ellenbogen establishes spaces which are partly moored in the facts of reality, partly in the realm of fantasy.” Hans-Christian Oeser, Dublin. Postscripts to Winterfischer, German edition of the Rhino Gates Poems. I was delighted to come upon the website of the poet whose poems I had the pleasure of typing when we were both undergraduates at McGill. I often wondered what had become of you. Now I can look forward to reading some of your more recent work. Several weeks into Grade 10, Ellenbogen, clutching a telegram of acceptance from Bentley, transferred us into the hands of (the aptly named) Saul Handelman, and bid us farewell. I caught a glimpse of him several summers after, in the catalogue room of the McGill University Library, exclaiming something about Barchester. I can still declaim, from memory, several poems from ‘Winds of Unreason.’ My favourite ends (roughly) thus: ‘Remember, that leaning towers sometimes fall, Accentuating hairlines of regret, The mocking shadows of a lent, ill spent.’ At the time, I missed the phallic intimations.